Setting the table for a meal used to be common knowledge, but things are fast these days, and not all are aware of the way of setting the table as it should be done. Perhaps you have the task of being a host for a luncheon or dinner at your place and have no know-how of the way each item should be placed at the table. Herein are details of various ways you can set wine glasses on a table, depending on several factors in regard to the function. Setting the table for a formal occasion involves knowing where to place the forks, knives, and spoons, but also where drinking glasses should be placed in the setting. The placement depends on how many glasses will be used at the meal, such as one drinking water, juice or wine. In most cases, a glass is placed on the right of the dinner plate, or just above the knife and spoon so as to be within reach of the one dining. Each place at the table should be set with the complete set of glasses to be used during the meal. That is with the exception of wine glasses which at times can be brought on serving dessert. Most people, however, prefer having everything in place without having to go and fetch anything once eating begins. Thus the need to have everything in place for ease of reaching for it while having your meal. On the right side of the plate is placed the water glass, right above the knife. The Wineglass is then set to the right of the water glass in the order of use. The water glass is placed above the dinner knife, the white-wine glass on its right, and then the red-wine glass sits above them. On a table that is stylishly laid each glass goes into its place. 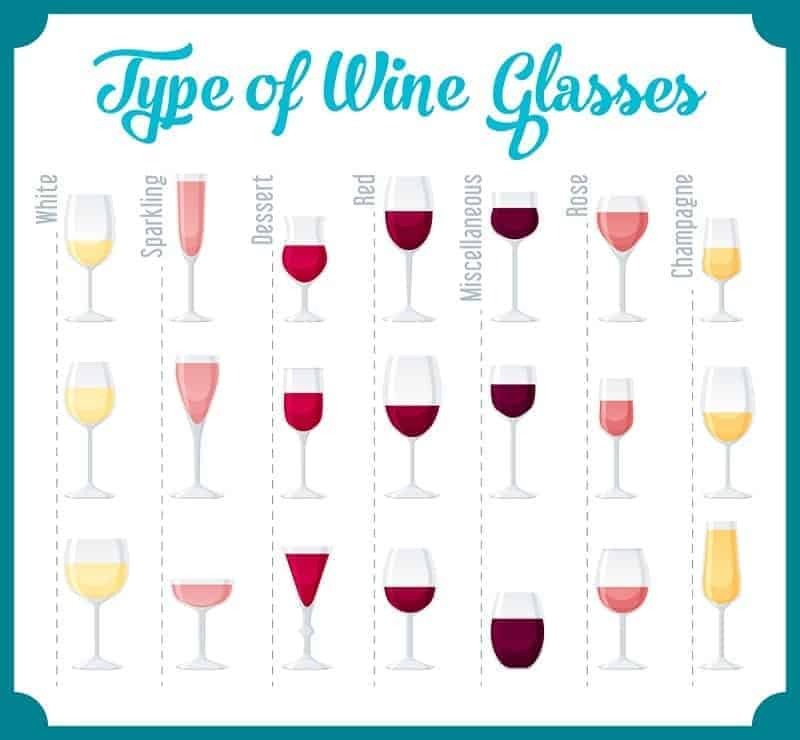 There are two common alternatives to position glasses (red wine, water glasses, and white wine glasses) Here is a description of each of them. The white wine glass should be placed right above the knife used in the main course of the meal. The rest of the glasses then lined up, from big to small at an angle of 45 degrees. The water glass below and the red wine glass then placed right above the white wine glass. Alternatively, you can have the triangular form where the white wine glass gets placed right above the knife used in the main course. The water glass then sits on the right, lower to the white wine glass, while the red wine glass is on the right, right above the white wine glass. Water Goblet. The place of the water goblet is in the position close to the hand which is roughly an inch above the dinner knife tip. Wine Glasses. Wine glasses get placed on a table in an order which takes in service of wine. During a simple meal, only one wine gets served. Thus the manner in which the wine glass is laid on the table not that important. However, in a many course meal, each wine glass gets placed closest to the hand. Sherry Glasses. The sherry glass gets a place on the table in the event that sherry is served as an accompaniment to a course in which it is a constituent. If the table is not crowded, a sherry glass gets placed on the right of the white wine glass. However, in the event that the table is packed, the sherry glass gets placed on the left front side of the white wine glass. White Wine Glasses. A white wine glass is organized either in a diamond or triangle form. With a triangle arrangement, and a sherry glass gets placed on the table, a white wine glass gets placed on the upper left side of a sherry glass. If there’s no sherry glass on the table, a white wine glass gets placed on the lower right of a red wine glass. Whereas in the diamond arrangement, a white wine glass gets placed on the lower left side of a red wine glass. Red Wine Glasses. A red wine glass gets placed either in a triangle or diamond. The triangle arrangement has the red wine glass placed on the upper left side of a white wine glass, commonly above the spoon. The diamond arrangement has the red wine glass placed on the upper right side of the white wine glass. Dessert Wine Glasses. A dessert wine glass is slanting to the right back of a water goblet with premium space. Else it gets placed straight on the right of a water goblet. Champagne Glasses. The champagne glass gets placed on the table on the right of a water goblet if champagne is the sole wine served at the meal. In a case where champagne gets served as an accompaniment of a certain course, a champagne glass then placed in order of use on the table. Juice Glasses. A juice glass gets placed at the center of a cover on a small size under plate if juice gets served as the first course. Should juice get served to accompany a meal, the glass then placed right on the table on the top right of a cover. In most table settings the water glass or goblet placed first, right above where knives are arranged. The stemware gets placed in the order of use, going right to left. In the setting, the sherry is poured first in the smaller glass close to the right hand of the diner’s same time the soup gets served. After which white wine-mainly served with chicken or fish, and then red wine -served with meat dishes. Should champagne be served, it is as a special toast when the meal is over. A champagne glass gets placed right above and on the right of a water glass. Normally, one beverage gets served at a time then gets consumed. In most celebration meals, both red wine and a white wine glass get set at the table. The one serving inquires if a diner favors white or red wine. In case he prefers red, the white wine glass gets removed and should he prefer white the red wine glass gets removed instead. With each fresh bottle of red or white wine, it is important to replace the old glass with a clean one. In most cases at a formal meal, the water glass gets positioned right above the point of the knife. Wine glasses then get placed immediately on the right, red wine glass nearer to the water glass than the white wine glass, if both types of wine get served. At an informal table, The water glass gets positioned right above the point of the knife too. Wine glasses also get placed immediately on the right and red wine glass nearer to the water glass than the white wine glass although you can usually do with just one wine glass for each type of wine. You can also use a simple glass tumbler in its place. The water glass and wine glass don’t have to come from the same glassware set so you can get a mix of various styles. When setting the table with wine glasses a lot depends on the kind of meal you plan on serving. If it is an informal one, the arrangement can be relaxed with fewer wine glasses or one at the table. On the other hand, if the meal is a formal one you will have several wine glasses set for use. There are different ways to set them on the table depending on the number and purpose of use during the meal. Some wine glasses can be brought at the time of use, therefore, save space at the table during the meal. Setting the table can be an easy task taking only a few minutes to complete or a complex one that has several intricacies to it. What determines the end result in the table arrangement is the type of meal served as well as the type of function in question. In an informal setting, a lot goes by preference than getting down to details of the art and often times you can improvise on the glasses you use to serve wine. Not so in the formal setting, however, as each glass has to be set in its place to serve the function for which it is intended during the meal. 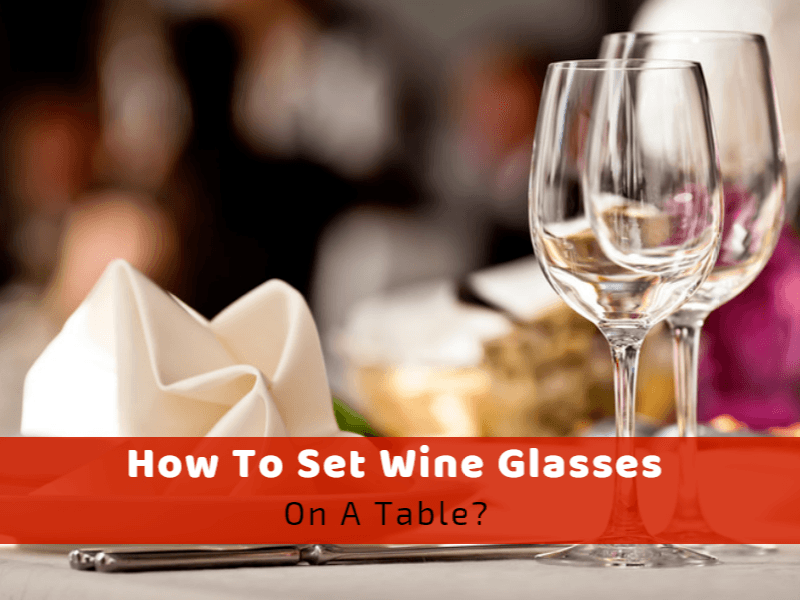 The way to set wine glasses at the table can be as varied as the meals that are being served. What matters, in the end, is being able to reach a wine glass when it is needed during the meal. This means arranging wine glasses in a way you’ll be able to reach for them in an easy way.